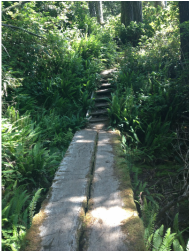 Laura Mann's eLearning Tales and Trails - How will I get there? Join the conversation by commenting! The following 10 quotes guide me with through "how" questions on my learning journey: How I will approach challenges, adversity, questions, obstacles, road blocks, even success? How will I maintain my inspiration and curiosity? How will I continue? and I see how trees survive. They learn how to bend. My main roles at this point in life are mom to my wonderful Fynn, Kindergarten French Immersion teacher in Nanaimo, BC and graduate student in VIU's online teaching and learning program.